Writers have lots of questions. Is the writing you do in your dressing gown worse or better than the writing you do when you have hauled yourself into clothes? How many biscuits is too many? What can you do to get rid of that ache in your neck from hunching over the keyboard? While I can’t provide you with answers to any of the above – not even the biscuits one as I think that’s something best sorted out between you and your conscience – I can point you in the right direction for help and advice concerning the other knotty issues writers tussle with. Such as, how to write a synopsis. Where to find an agent. What you should look for in a publishing contract. How you can access professional editing and critiquing services. Things writers should know about tax, VAT and insurance. I think of these as the nuts and bolts, or if you prefer, needles and thread, that hold a writing career together. Knowing the answers to the questions I might be faced with – or being able to contact someone who does – will make it easier for me to get my work out there, be happy with my writing lot and make the most, creatively and financially, from my labours. The Writers' & Artists' Yearbook, up-dated and produced every year, is an indispensable guide to the media and publishing world. The guidance and advice is highly practical and knowledgeable and ranges from writing for online and print, to the latest on copyright law, tax and e-publishing. There are also over 4,000 listings entries on who to contact and how, across the media and publishing worlds. Bloomsbury also publish the Children's Writers & Artists' Yearbook and you will often find one or both of these Yearbooks stocked in libraries. You can of course buy them via the Bloomsbury Publishing site, or in the shop section of Bloomsbury's The Writers' & Artists' Website - another fantastic resource and well worth checking out. It includes articles, blogs, an editorial service and a community page. 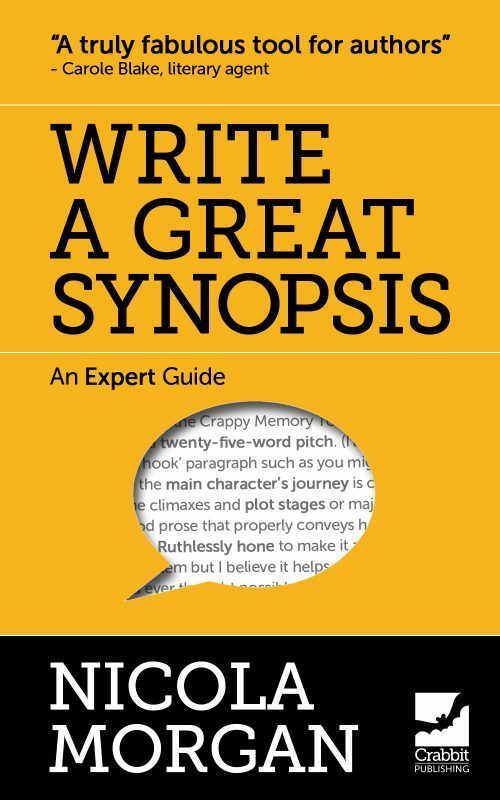 You'll find great, practical advice here on everything including the function of a synopsis, finding the heart of your book, and how to tackle non-linear plots, multiple themes, sub-plots and long novels. For a fuller tour round the book, please click on the link below. While you're there, you might also like to take a look at her book 'Dear Agent' which tells you all you need to know to write a covering letter to accompany that synopsis. The Society also holds events across the UK – including workshops, talks and socials – and campaigns and lobbies on issues affecting authors, indeed, it has been advising individuals and speaking out for the profession since 1884. For a full list of their fantastic work, please see the website. Now, it is also possible to join the Society as an Associate and it is well worth checking out the eligibility criteria on the website. Here are their Twitter and Facebook links too. The UK’s first regional writing development agency, New Writing North (NWN) is now part of a national network of new writing agencies. It operates throughout the whole of the North of England and its aim has evolved to encompass a wide range of help and support. I can only give you a taste of this, but here goes. Reader Development The Read Regional programme is a part of this. This large scale library partnership aims to engage with local authors and promote new writers. I was a participant a couple of years ago and it was a fantastic opportunity to visit libraries across the region and talk to readers. Engaging People with Books Includes Durham Book Festival on behalf of Durham County Council. Supporting Reading and Culture Think book clubs, an annual children’s theatre production and more. Working with Young People The Cuckoo young writers’ programme is a great example of this. Awards and Prizes The fantastic Julia Darling Travel Fellowship is just one of these. New Writing North is a real mover and shaker in the North and has encouraged and helped many. Please take a look at their website and see how much they offer. And here are their Twitter and Facebook links too. The website is packed with information and you can find it here.